Tania McCartney has done it again. 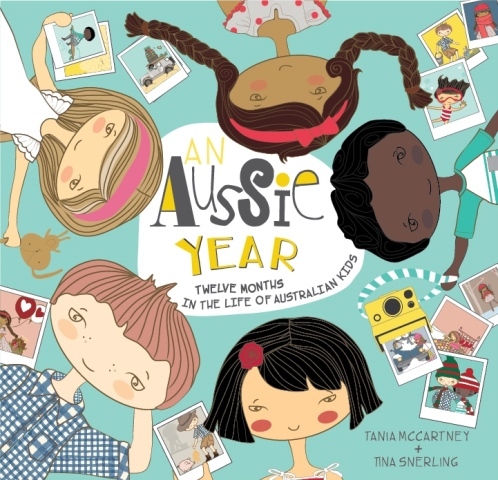 This book, An Aussie Year: Twelve Months in the Life of Australian Kids by Tania McCartney and Tina Snerling is bound to be a winner. Today the characters from the book join me to tell me a little about being a star. Hi kids, so lovely to have you visit today! Congratulations on the release of An Aussie Year. 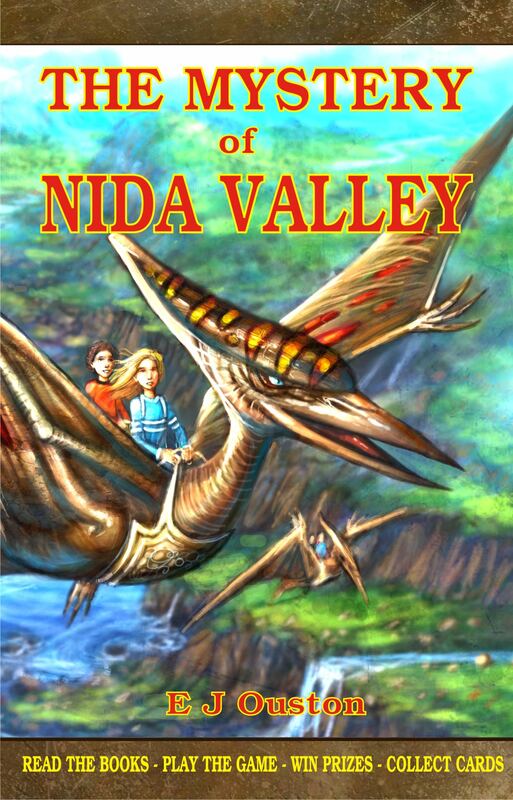 How much fun was it to star in this book? Ned: It was so cool! I never thought a kid from the bush would ever get this chance—but I’ve had lots of fun. Shooting the book all over Australia was awesome. I even got to ride in a helicopter! Zoe: And we all got to go to Alice Springs for the Henley on Todd Regatta—that was my favourite part of all. Imagine doing boat races in the desert! Lily: A boat race. On sand. Not a river or creek in sight! I bet you’ve had a lot of fun—and you must have seen heaps of Australia during book production. What other parts of Australia did you love visiting? Kirra: I’d never been to Tasmania before. We had to look for platypus and I found one! When we went for afternoon tea later that day, we met a Tassie devil. She was so funny—she began eating the table leg! Kirra: No it wasn’t. The crocodiles were scarier! Zoe: I really liked ice skating at Jindabyne. That was fun. Ned: Taronga Zoo for me. Hands-down. I got to play soccer with a seal. How many kids can say they’ve played soccer with a seal? You also took a tour through the months of the year. Which events did you love exploring the most? Lily: Book Week! That’s in August. I love love love it. I love to read. I also loved being the one to do April Fool’s Day. They turned my milk blue! Matilda: But you didn’t drink it. Lily: Yes I did! It tasted blue. Kirra: I loved visiting the Royal Easter Show in Sydney. We got to ride on the Ferris Wheel. That’s in April, too. Ned: My favourite time of the year is December. School finishes and you get to swim every day over Christmastime. It gets a bit hot out West, though. Zoe: I loved doing Easter. Mum and Ya Ya make tsoureki bread. It’s sweet and delicious. You make it into a plait and you stick red eggs in it. What have your friends and family said about starring in your own book? Zoe: My brothers and sister are, too! Ned: But they’re very proud of us. We worked hard! You worked closely with author Tania McCartney and illustrator Tina Snerling during production of the book. What are they like? Matilda: I really liked them. They let us eat the lollies we used for August. Ned: Tina’s very good at drawing. I like cartooning, so she showed me a few tips. Lily: Tania liked my short stories. She said maybe one day we could do a book together! Why do you think the Aussie childhood should be celebrated? Ned: Because we’re really, really, really lucky. Like, really lucky. And we have ANZAC cookies. Matilda: I like Australia because of my friends. I like how Kirra and Zoe and Ned and Lily are all different to me. I like that very much. Ned: Tilly’s right. It’s called diversity. That really needs to be celebrated. I think An Aussie Year does that. You’re real literary celebrities now. What’s after An Aussie Year? Zoe: Well, I want to be an actress—everyone knows that, so maybe I can star in the movie version of the book. Lily: I’ll write the script! Zoe: How cool would that be!? Ned: But let’s not get ahead of ourselves. Let’s just hope kids and mums and dads and teachers like An Aussie Year, Version One. Matilda: I hope they love it! Lily: I’m absolutely certain they will—it stars us! Love to write? Dream of fast-tracking your manuscript right to the publisher’s desk? Here’s your opportunity to have the publishers at Morris Publishing Australia take a peek at your work. Check out the submission guidelines right here, then send the synopsis and the first ten pages of your manuscript to submissions@morrispublishingaustralia.com. Regular response times apply; see the website for details. One submission will be chosen to be published as and eBook and considered for a printed copy. Ned, Lily, Zoe, Kirra and Matilda––three Aussie kids keen to take you on a journey through a year in the life of Australian children, from cultural celebrations to traditions and events, to our everyday way of life.